One of the hardest issues parents face is “how do I get more veggies into my my kids”? There are no quick fixes for this question but the absolute key is consistency and the big one is to bring back rituals. We have lost the art of eating for pleasure and eating as a way of relating to our children. Our mealtime environment can be an extremely stressful time in most households with parents ‘pressuring’ children to eat their veggies and eat more food. Setting up a good environment - consistently! By this we mean that TV needs to be off for all mealtimes and dinner involve sitting around a table and taking the time to connect and talk. We have a rule in my house that even if you eat nothing – sitting at a table and participating in meal time conversation is still something that is required each night. 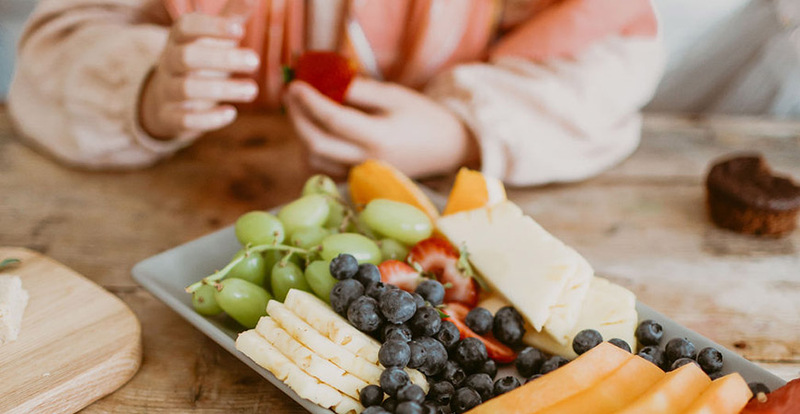 Try to keep the conversation off food so this is not the focus and you may be surprised at what kids will pick at while there is conversation going on about other things. Meal times should be enjoyable and happy. If it’s stressful and pressured kids are less likely to eat their veggies. In our home we talk about food having feelings. That means we don’t ever say we ‘ I hate broccoli’ or speak negatively about any food. Reframing this to – ‘This broccoli is not to my taste – yet’ is a much better response because tastebuds are changeable and fluid and we don’t want to reinforce negative statements about food. We need to reframe what kids don’t like into something that they have the potential to like down the track! Taste buds change and so can kids palates, so reinforcing anything negative about a particular food will only reaffirm a dislike for that food. This means we as parents also need to be aware of how we speak about foods that we don’t like. Continue to introduce and reintroduce vegetables. Remember we taste food with our tongue not our eyes so encourage kids to actually lift food and taste it on their tongue. We actually don’t know if we like something or not just by looking. It can take multiple exposures for kids to be even willing to try a food, so don’t give up after a few rejections. Some foods can take 20 exposures or more. Healthy Kids TipsWhile I believe in filling common foods with lots of extra veggies things like sausage rolls and and bolognaise it’s super important we don’t only offer our kids foods with hidden veggies and not veggies in their whole form. Snacking on veggies is a great habit to get into and mixing it in with fruit can be a great way to introduce more veggies. Apple slices with cucumber and capsicum as well as chopped up banana and carrot sticks. There are no real rules when it comes to what is on offer. Raw veggies makes a great snack. Here are some more creative ways to get more real food into kids! This is so important if you want kids to eat more veggies. Get them involved in choosing the veggies. Every time you shop, make it a game to choose one veggie they have never tried before and work out different ways to prepare it with your kids. Choose something unique and unusual and let them try it raw, cooked, cut up, fried or baked. Make veggies fun and encourage kids to explore new colours and textures and ways of preparing food. Be enthusiastic about food and remember food is fun! Don’t forget to tag us with your pics! #123nourishme We LOVE seeing your amazing creations!